"I am very impressed with the quality and knowledge level." "Good, focused on the exam, but also practically oriented." 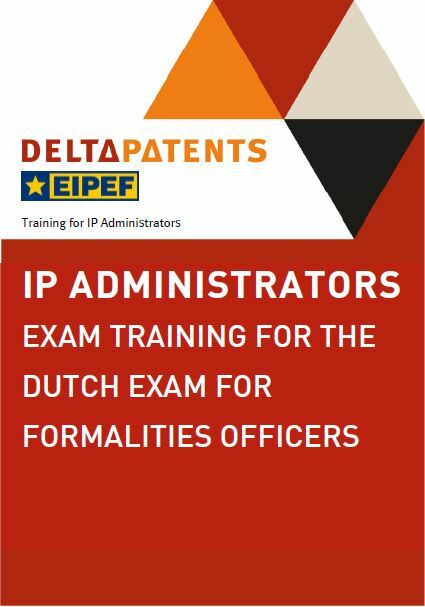 After 8 very successful training programs (2011 - 2018), preparing for the certified Dutch Exam Formalities Officers, DeltaPatents starts in October 2018 with another Full Program for Formalities Officers/IP Administrators, in co-operation with the Dutch 'Platform Formalities Officers'. 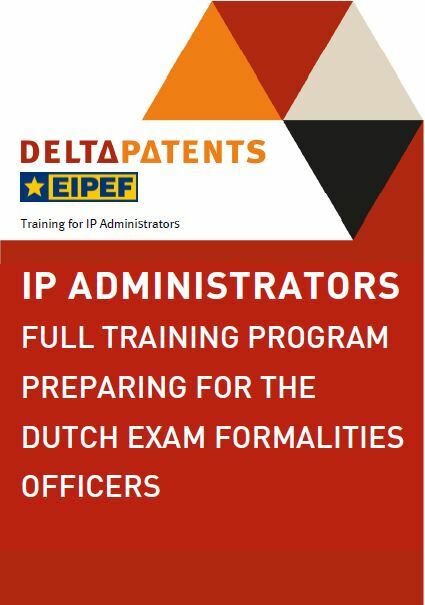 This program (Opleiding Formalities Officers) is offered to prepare Formalities Officers/IP Administrators for the certified Dutch Exam Formalities Officers (scheduled in May 2019). The program will run in the period October 2018 - May 2019. Dutch candidates who will take the exam, have priority. Candidates enrolling for the full program also have priority. The modules were developed by DeltaPatents in consultation with the Dutch Platform Formalities Officers, www.formalitiesofficers.nl. The basic modules represent the core foundation of knowledge required by a formalities officer/ip administrator. The total program is expected to consist of four modules. The basic modules provide terminology, overviews, and a core understanding of the processes to be performed by the formalities officer/ip administrator. Where possible, tuition will be in the native language. The information provided will be internalized during the course using many exercises/cases. In this module participants will obtain knowledge of ‘overall issues’ like the priority concept, patent routes and systems, inventor-/ownership, and representation. After attending this module the participant will be able to file a (priority) application and a European patent application (by fax and/or electronic filing), invoke priority and deal with the most occurring issues for getting a filing date, and dealing with the formalities examination. Participants will have a good insight in time limits, remedies (like further processing) and fee payments and will be able to put the knowledge into practice. Furthermore the participant will have knowledge of the EPC procedure from search to examination as well as of the validation procedure including translations according to the London Agreement. The participant will also be able to carry out and monitor the main procedural steps during all these phases. By the end of this module, the participant will be able to file a PCT application using the RO/101 form, invoke priority, deal with the most frequently occurring issues for getting a filing date, and deal with both formality and prosecution tasks during the rest of the international phase, EP regional entry and national entry in the US, China, India and Japan. Participants will have a good insight in time limits, remedies and fee payments and will be able to put the knowledge into practice. The IP Administrator will also gain insight in what he/she might encounter during the different national phases like requesting examination, filing of assignment, Power of Attorney, IDS, payment of issue fees, renewal fees, etc. At the end of this module the participant will be able to file a NL application (by fax and/or electronic filing), invoke priority and deal with the most occurring issues for getting a filing date, and dealing with the formalities as well as the prosecution of the application procedure, validation of the EP patent in the Netherlands and the procedure for obtaining a Supplementary Protection Certificate (SPC). Participants will have a good insight in time limits, remedies and fee payments and will be able to put the knowledge into practice. Furthermore the participant will be able to perform and monitor the main procedural steps during these phases. Regarding the change of ownership attendants will understand IP rights as property, will be able to establish inventorship and ownership, and will learn what documents are required by the NL Patent Office, EPO and WIPO for registration of a change. The participant will be able to record a change of name or ownership during the PCT International Phase, at the NL Patent Office and at the EPO. Furthermore the participant will learn how to deal with legalisation and notarisation of documents. This module covers the trademark and design procedures, copyright and domain names. By the end of this session participants will understand the differences between trademarks, designs, domain names and copyright and the different way of thinking compared to patent law. For, different than in patent law, having a trademark and/or design registration does not necessarily mean that rights have been acquired or will remain valid during the registration period. Consequently, participants will acquire knowledge about the filing requirements and a basic understanding of the registration procedure for the Benelux, European and International procedures. Lastly, participants will have an insight in the different filing routes. To prepare for the exam in May 2018, DeltaPatents offers an exam training, where the tutors will give the participants skills on dealing with the exam and guide them through one previous exam.